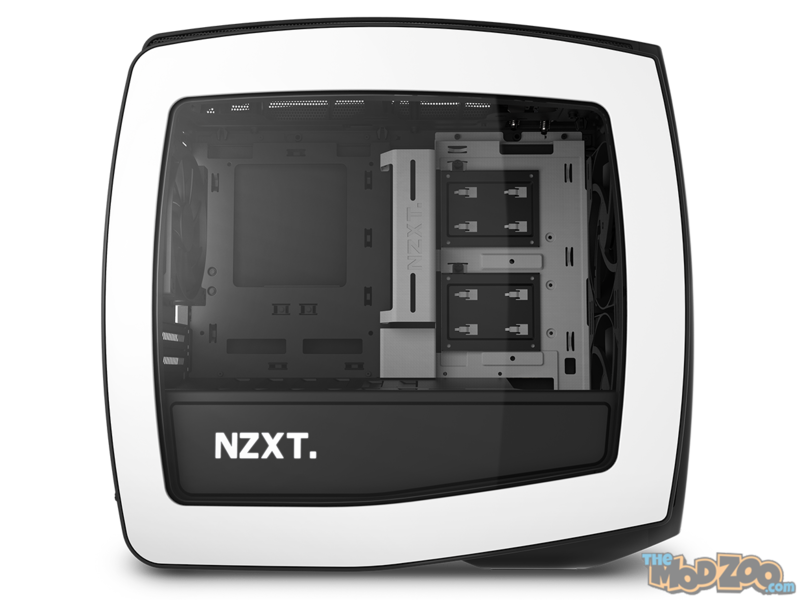 Previewed at CES 2016, NZXT is announcing a new case to be released in February of 2016. The Manta will be an mITX case with curved panels, offering a sleek look. I’ll have to be honest with you, I saw the early preview pics of the case from CES and thought it had an egg-like look. We were able to look at a prototype case when we visited with NZXT and I have to say, the case looks sweet in person. There is certainly bleed-over design from the successful H440 and S340 cases in the power supply shroud, no 5.25″ bays and an included PWM fan hub. Fan space will include up to dual 140s in the front and ceiling of the case and a 120 in the rear. The Manta will be available in white/black, black/red, and black/black on launch with the option of a window with a price point of $140 USD. Check back to the Zoo for a full review of the NZXT Manta in the near future.